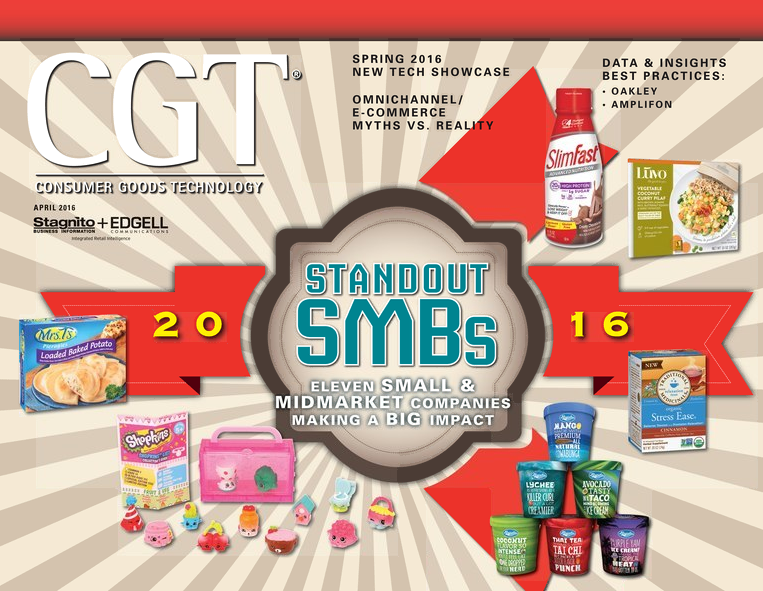 Although we cover many powerhouse brands at CGT, oftentimes, I have a soft spot for the smaller up-and-coming brands. The thrill of making a discovery that will later grow into something huge is what makes the annual Standout SMB issue rewarding. And, the list this year does not disappoint. These companies range from a handful of employees in a few regions, to almost surpassing the $1 billion mark in revenue. They have a drive for growth and fully leverage technology, new insights and deep consumer connections. Whether you’re with a big or small company, this section has a lot of great best practices, and just plain inspiration. This issue also features data and insights case studies starting with Oakley. Known primarily for its high-performance sport sunglasses, the company also manufactures apparel, footwear, goggles, headwear and other sports gear. Here, the company unveils how it uses analytics to improve its trading partner relationships. Whereas, Amplifon Group — known for its Miracle Ear brand — reveals how it senses data for complete supply chain visibility. Finally, at the end of last year, I mentioned some big changes coming for CGT and we’re already making some progress. Our parent company has now become Stagnito Business Information + Edgell Communications, through a merger that was announced in February this year. And, that’s the just the beginning. We’re excited to see (and announce) what’s to come!